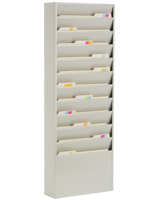 This 11 pocket document holder with wall mount is a hanging sorter for office papers that keeps countertops and desks neat. 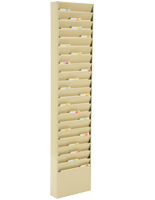 This magazine is perfect for a busy medical or professional office where locating papers immediately is key to getting patients and customers in an out quickly. 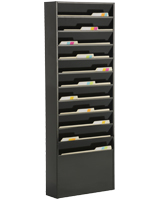 This 11 pocket document holder for letter size papers features powder coated steel construction that is rust resistant. 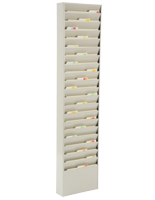 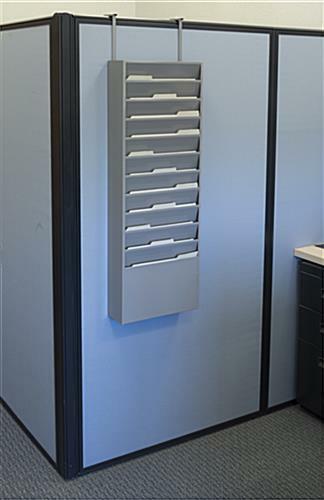 This grey magazine organizer for an office supports lots of catalogs and papers. 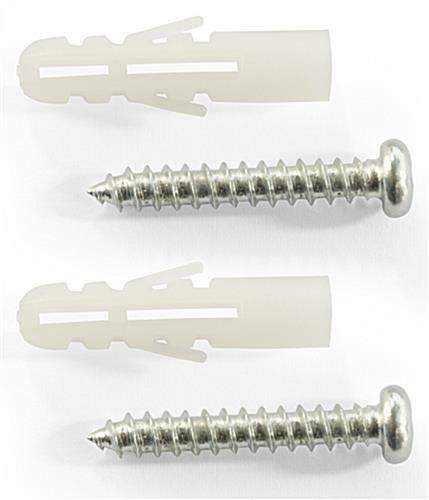 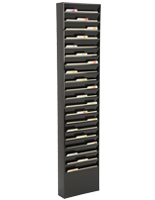 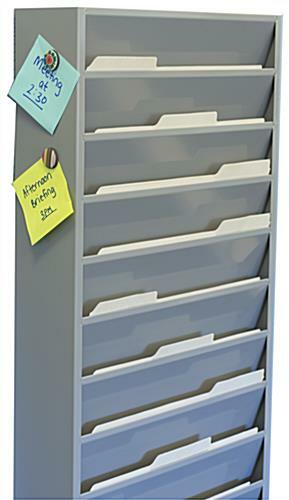 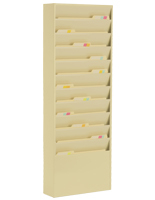 This 11 pocket document holder, also known as a pamphlet filer for wall mount, ships with hardware. 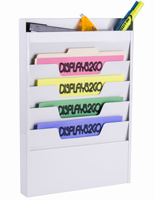 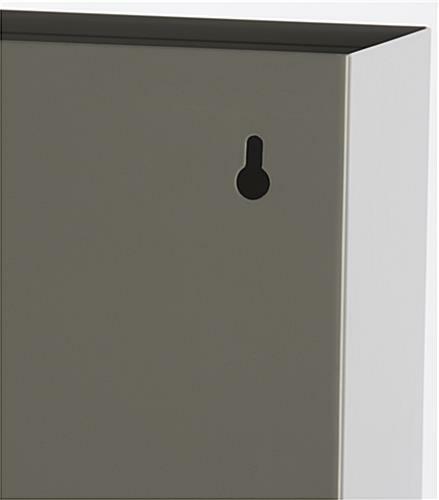 The magnetized surface of this letter-size display is perfect for posting reminder notes. 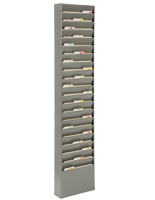 13.3" x 36.0" x 23.8"
12.4" x 8.8" x 0.75"